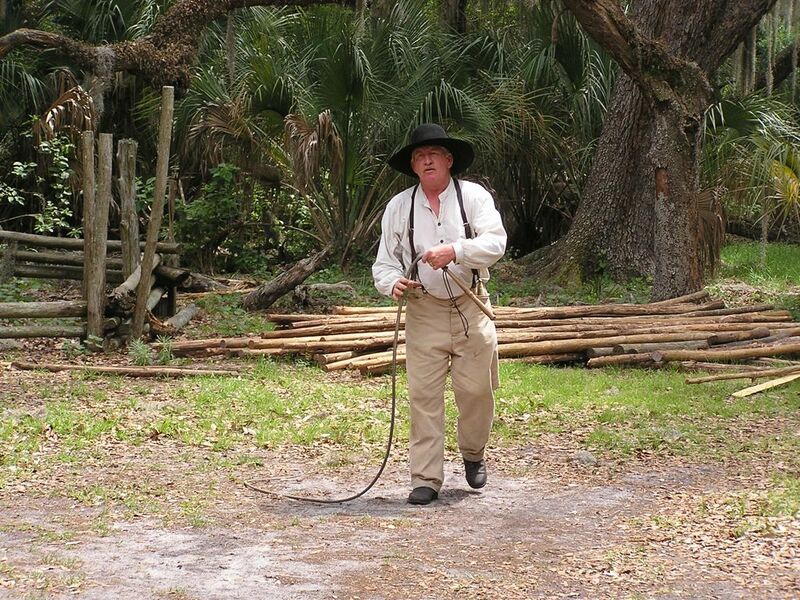 The ranger demonstrates whip cracking--very loud, like a rifle shot, used to steer the cows. He says the whip is called a "wife tamer" (things were simpler in 1876!). The term "Florida cracker" comes from the whip cracking of the cow hunters (per one theory).